Travis and Jennifer are very thankful for the opportunity to serve with Armed Forces Baptist Missions. They feel God has been preparing them through 21 years of service in various branches of the military. Travis’ service has included 4 years in the Marine Corps as an Infantry Scout, 12 years in the Army as a Combat Medic which included two combat tours to Iraq, and 4 years as a Chaplain, in which capacity he continues to serve. His experience in the military has afforded Travis great opportunities to minister to many service members and their families. Jennifer is blessed with the opportunity to connect with military wives as she has been faithfully serving alongside Travis for the past 21 years. Travis and Jennifer have six children who Jennifer homeschools. Their family prayer is that God will use them to provide an opportunity for soldiers to become fully devoted and dedicated followers of Christ. Travis currently serves at Fort Gordon in Augusta, Georgia as a Chaplain in the 345th Military Intelligence unit. Outside of regular preaching at the unit, he ministers to the soldiers through Bible Study and fellowship. Travis and Jennifer are praying for a building to run a Servicemen Center in the Central Savannah River Area for the soldiers at Fort Gordon and surrounding. They have been blessed to see many soldiers accept Christ as Lord and Savior. They desire and pray to share the Gospel truth with soldiers and their families. Travis was raised in the church until around age 10 when his parents divorced. At the age of 18 Travis surrendered his life to Christ and was saved. Then he joined the military where he and Jennifer met some missionaries who ran a Servicemen Center to the Marines in 29 Palms, California. They were mentored by this dear couple and learned a tremendous amount about serving God. Jennifer came to know Christ when she was 7 years old. A group of evangelists performing puppet ministries for children came to her church and she went forward for salvation. Her parents were Christians and the family attended Broadview Baptist Church in Pompano Beach, Florida. Jennifer has wonderful memories as a child growing up there. God calls the men and women of AFBM to serve Him in unique ways. He may also be calling you to a special role in Travis and Jennifer’s ministry. Please prayerfully consider becoming a Ministry Partner with them through prayer and/or financial support. 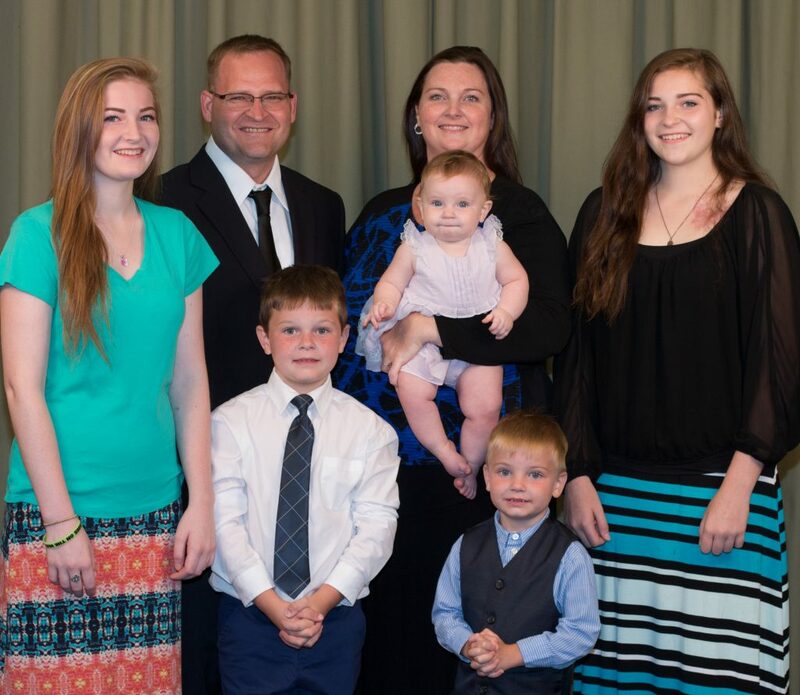 Contact the Jones family to learn more about their ministry and to sign up for prayer letters.